Welcome. Haere mai, nau mai, haere mai. SCHOOL AND PRE-SCHOOL KAPAHAKA MAORI RESOURCES. My name is Leigh Rau and with my whanau we created Kanikani Kids in 2004. 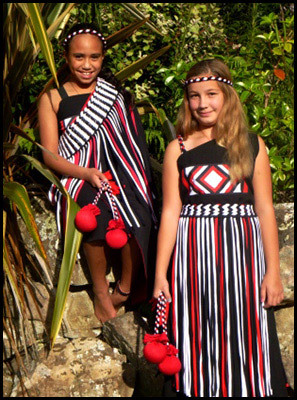 In 2009 we changed our focus and became a Māori Resource provider, specialising in unique Kapahaka uniforms for Schools. I am of Ngati Raukawa decent, Otaki and my husband Tahi, is Ngati Tipa, Port Waikato. We live in Otaki with our daughter Aroha. We offer a range of contemporary traditional Māori resources specialising in school kapahaka uniforms and pre-school Māori resources. 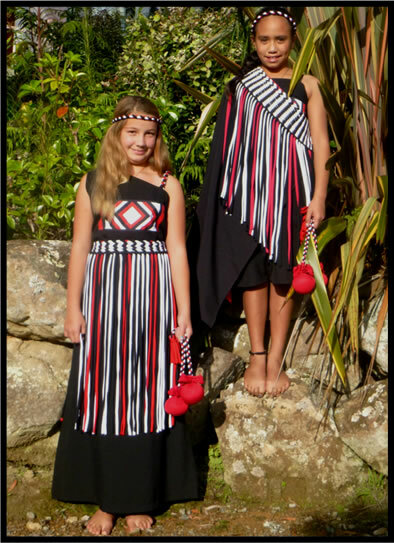 These costumes are designed for Kohanga, pre-schools, schools, adult Kapahaka and home. Our Piupiu have the traditional Taniko weaving incorporating hard wearing contemporary fabric. 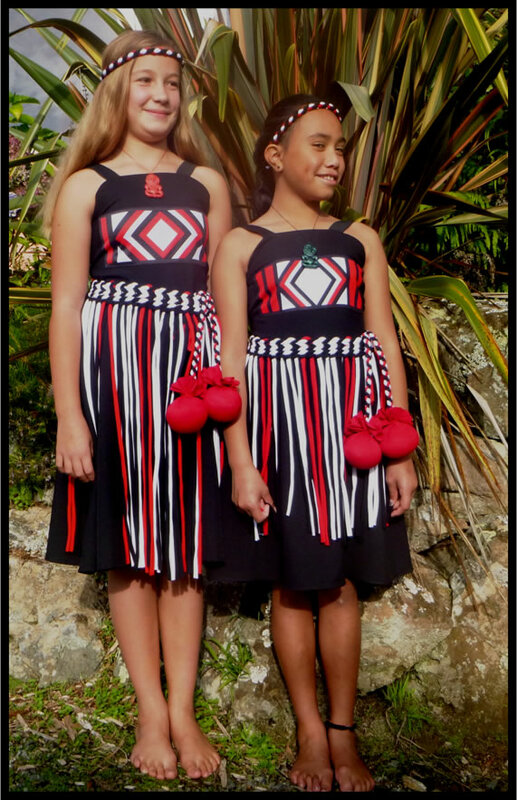 The costumes are available in standard colours of red, black and white BUT can be made in your School or Kapahaka colours. Our costumes are multi-fit, reversible, durable, machine washable. Please enjoy perusing our pages for viewing of our resources. Winner of Māori Business Awards 2006 and 2010.